After central government’s effort towards enhancing education in the county now it is time for the states to do so. 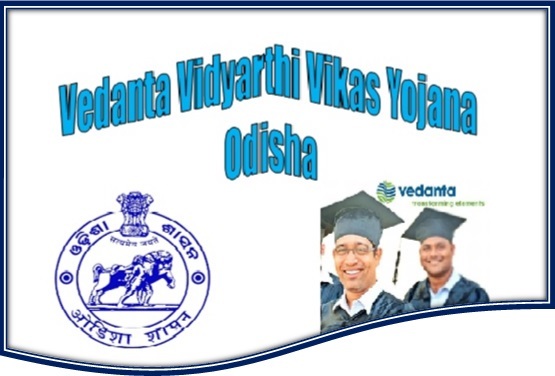 An initiative was taken by the Vedanta Limited in Odisha called Vedanta Vidyarthi Vikas Yojana has been proved to be another light of hope in the educational field. This is a scheme initiated in the year 2008 to encourage the students in school level, educate them properly so that they can pass out the matriculation examination with high marks. The scheme is started in the year 2008. The Vedanta limited was the initiator who has joined hands with the NGO called Aanchalik Jana Kalyan Anushthan aka AJKA to enhance the standard of education in the state. This is an educational program for the children studying in between class 8 to class 10 in schools in 10 villages across Odisha. Students can enrol under this program to take the facilities. This scheme offers VVVY centres across many places in Odisha. Students who have enrolled under this program can take respective trainings under these centres. Under this scheme or the program, VVVY authorities started educational centres across many areas. They have covered 10 peripheral villages to operate in the first phase. Students who are enrolled under this program will be able to take classes in these centres. Mostly morning classes are available in these centres. Along with classes, skill related programs, regular examinations, knowledge based education and parent teacher meeting was conducted as well in these centres. When it was started back in 2008, the percentage of success in examination was 18% only. After that few students that is merely 20 odd students had been joined the program. This leads to 450 students in 2012-13. In 2013 the passing rate was 88% which has reached to 96% and over in the year 2017. The centre started operating in the year 2008. The passing rate of the students in class 10th was 18% at that point of time. According to the latest result in the year 2017, the passing percentage has increased to 96%. According to the officials when this centre was started it was impossible for the teachers to think about this percentage. All this while the trainers, teachers and the authority didn’t stop trying and reach to this level of success. This year 130 students out of 150 students have successfully passed the matriculation exam from Odisha state board of education. The average aggregate mark is recorded as 75%. The top three scorers are Soanli Bag who scored 87.16%, Dikhyarani Padhi who scored 77.16% and finally Tolottama Kishan who scored 75.66% in total respectively. These three top scorers along with other promoted students are being facilitated by the Vedanta Group. The top three scorers received cash rewards along with a memento. According to the authorities they are trying to take the scheme to state level. This time they have covered only 10 villages, but now looking at the growing success of the yojana they are planning to spread the scope of such training across the state. Also according to them by 2031, they will cover the 12th standard students as well. They will target the higher secondary students along with matriculation students so that the state gets more knowledgeable and skilful youth in future.